thou shalt not be a freier! ashkenazi jews, biology 101, biology and behavior, biology matters, clannishness, different peoples is different (duh! ), freier, freierim, israel, israelis, jews, mating patterns matter, mizrahi jews, relatedness matters, russian jews, sephardic jews, what's this hbd business all about anyway? “Fear of being seen as a freier creates an unbending approach to life — from parking to peace talks. Israelis say the desire to be tough is rooted in history of survival. “JERUSALEM — Why does an Israeli driver speed up when another car signals its intent to enter his traffic lane? Because he doesn’t want to be a freier — a sucker. “If Israelis could agree on anything — a highly unlikely prospect, but if they could — it just might be that the cardinal sin is to be a freier. “A freier, in Israeli eyes, is a shopper who waits in line to pay retail. It is a driver who searches for legal parking rather than pulling onto the sidewalk with the other cars. And if he does this in a rush to file a tax return, he is the consummate freier. “In short, a freier is anyone who cedes ground, plays completely by the rules or allows someone to get the better of him. The ideal Israeli is clever and tough, and a freier is the opposite. A pushover — in the way that Israelis often perceive Americans to be…. “The fear of being a sucker makes Israel a more rough-and-tumble place than its modern malls and high-tech industries might suggest. It turns driving into a bumper-car competition and makes grocery shopping as trying as arm wrestling. “Disregard for rules — of common courtesy or the road — makes life unpredictable…. “‘In London, the culture is to give way, be a gentleman, don’t compete,’ said Peri, the former editor. ‘But an Israeli is the opposite. If you are stronger, why should you give way to someone weaker? In a debate, the British will say, “You have a point.” In a debate here, no Israeli will admit he has been persuaded to change his mind. That shows weakness,’ he said. “Americans often find the Israeli attitude intolerably rude. Israelis, meanwhile, find Americans to be the biggest freiers of all. They are naive idealists. 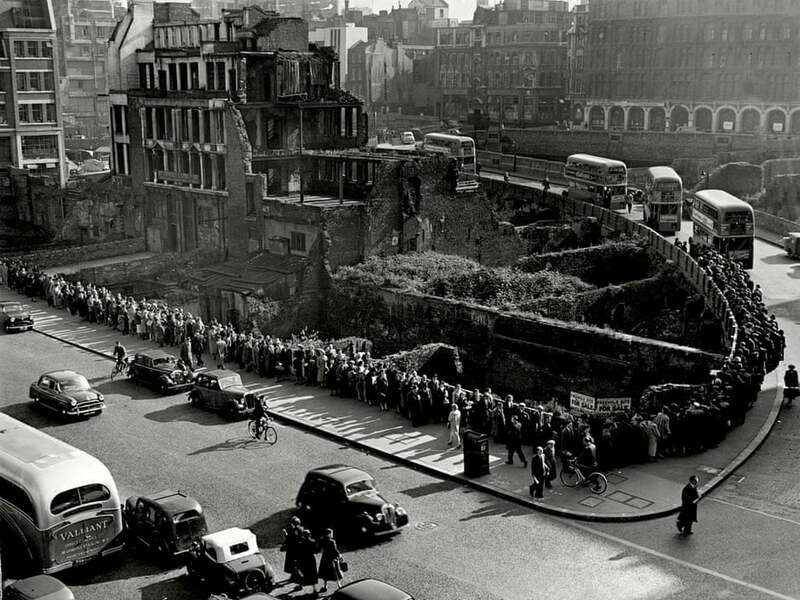 Whether tourists or Jewish immigrants, they are seen as easy marks. “Israelis, she said, view rules as something to be challenged. If a sign says ‘no entrance,’ Israelis will try the door anyway. If a doctor’s assistant says no appointments are available today, an Israeli will keep pushing in the belief that exceptions will be made. Only a freier takes no for an answer. “Israelis see this rule-bending as an advantage, particularly in times of war, when flexibility and improvisation can be a key to victory. “Many of the stereotypes that foreigners love to level against Israelis may derive from a national fear of being taken for a sucker. “Why do Israelis crowd around the doors of a bus, elbows flailing, instead of lining up neatly and politely one behind the other? Well, yes, it’s partly because they’ve never been taught to do so, but it’s also because if they don’t get the chance to shove their way to the front or sneak their way in from the side, that might make them (cue impending sense of dread) freierim, to use the plural form of this Yiddish word. ashkenazi jews, biology 101, biology and behavior, biology matters, cousin marriage, delayed gratification, different peoples is different (duh! ), europe, europeans, german jews, jews, manoralism, mating patterns matter, medieval europe, relatedness matters, russian jews, sephardic jews, what's this hbd business all about anyway? he references himself on that — “Christentum und Endogamie” in Historisch-anthropologische Familienforschung — but i haven’t read it yet. one of these days, i just might order it from amazon…and dig out my german-english dictionary. so, stow doesn’t have hard-and-fast data on marriage types here — he’s making a deduction — but i think it’s a good one. what i find particularly persuasive is the fact that the family type of these medieval rhineland jews was primarily nuclear (or stem). in other words, according to stow, just like the broader western european population, medieval rhineland jews did *not* have clans. and that seems to be the general pattern: the more outbreeding, the smaller the family size. so, higher cousin marriage rates in this region amongst the cohort closest to the alsace-lorraine group above — 5-11% versus 2.3% (remembering that that latter figure might be just first cousins). and much higher rates post-1922, the author argues because jews were leaving the german countryside during this time period, so potential marriage partners were becoming scarce. 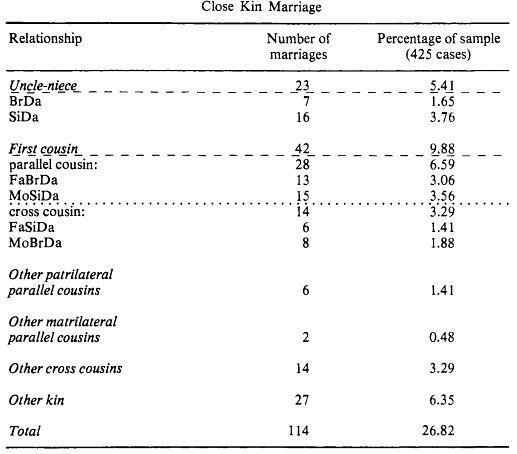 still, while a 16% first cousin marriage rate is high for northern europe, it’s not even close to the 30%+ first cousin marriage rates in sicily in the 1960s! and the earlier 5-11% rate may have been more “normal” — hard to tell — Further Research is RequiredTM. “Although data on consanguineous marriages in Russia are lacking, contemporaries claimed that they were ‘very common,’ largely because of the narrow circle of eligible partners for any given class of Jews. This geographic endogamy impelled one Jewish observer to write that ‘the expression “Kol Yisrael ahim” or “all Jews are brothers” is true in this sense, that Jews [who] belong to one strata of society and reside in one area, always find out that they are related when discussing their family backgrounds.’ The strategy of marrying relatives was particularly pronounced in small towns. It was due to concerns about family lineage, as well as to restrictions on geographic mobility (i.e., legal restrictions on residency, poor communications and transportation, and the high costs for travel). “In the late nineteenth century, Jewish reformers castigated this consanguinity as detrimental to family health. The developments in contemporary medicine (especially eugenics and clinical psychiatry) had a profound impace on public discourse; as physicians joined in, the debate on Jewish marriage became increasingly medicalized. ‘Owing to heredity,’ warned the ‘Evreiskii meditsinskii golos’ (The Jewish medical voice), ‘all physical defects appear in the offspring with particular force, since the definciencies of both parents are aggregated. 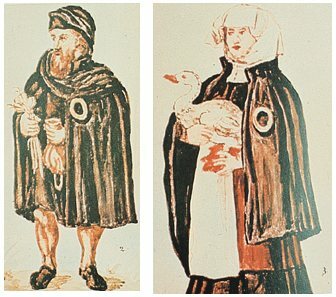 Invoking Western science, Jewish physicians ascribed the increased rate of ‘nervous disorders,’ such as hysteria, epileptic seizures, imbecility, and insanity, among the Jewish in Russia to their pernicious inbreeding. so, from all of this medical hysteria, i am guessing that the historic cousin marriage rates among jews in eastern europe were much higher than those in the west — at least in the nineteenth century. sephardic jews have historically had much higher rates of consanguineous marriages than ashkenazi jews — up to 20% in some places according to joseph spitzer [pg. 160]. see also this post: jewish endogamy on mallorca. same with mizrahi jews — for example, the rate of consanguineous marriages among iranian jews in 1991 (first and second cousin plus uncle-niece marriages) was 25.4%. long-term outbreeding (since the middle ages) of western ashkenazi jews would fit with the genetic evidence which indicates that ashkenazi jews are not inbred (see razib’s posts here and here). all the apparent historic cousin marriage of eastern ashkenazi jews would not fit with that. i’d like to see the genetic data (runs of homozygosity) for ashkenazis parsed out between eastern and western europe to see if any differences can be detected. my guess is that they should be there (there should be more roh in russian jews than in german jews), but i could be wrong. – and that, by the high middle ages, western european jews did not have clans but, rather, had nuclear (or stem) families. as i mentioned in my self-quote at the start of this post, though, european jews did not experience whatever selection pressures were connected to the bipartite manorialism of medieval europe. one of the things that i think was selected for via the manor system was the late marriage practices (i.e. delayed gratification) of northwest “core” europeans. 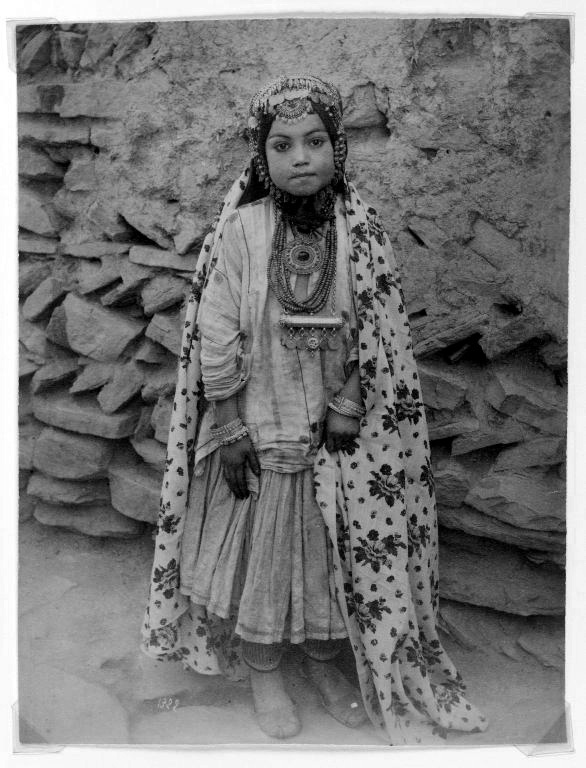 western ashkenazi jews, on the other hand, continued to marry very young right into the early modern period, perhaps because they were never manorialized. *i also have some data for jewish cousin marriage rates in nineteenth century england, but shortly after writing that post, i decided that those data need to be disregarded. see this post for my reasons why. biology 101, biology and behavior, biology matters, different peoples is different (duh! ), europe, europeans, friendship, genes and behavior, icelanders, jews, mating patterns matter, penguin alert!, relatedness matters, social structures, what's this hbd business all about anyway? “You referenced some of this in your counter currents interview but this study makes things more clear. Friends are as close to each other as fourth cousins. Jews are also as close to each other as fourth or fifth cousins. Therefore it is easy for Jews to make close friends by hanging out with other Jews. Meanwhile, it is harder for gentiles to make close friends in mass societies, as people move around and no longer live in a village near a bunch of closely related people. if it’s correct that people generally befriend their fourth cousins — and this is something that could vary between different populations (Further Research is RequiredTM) — then, perhaps, this could explain why places like iceland work so well, too. i don’t know what the average relatedness there is (does anybody know? ), but presumably it’s something like fourth or fifth cousins as well. maybe then it IS really easy in such a place to have a — whatever — redistributive socialist system when it feels like almost anyone in your population could be your friend.